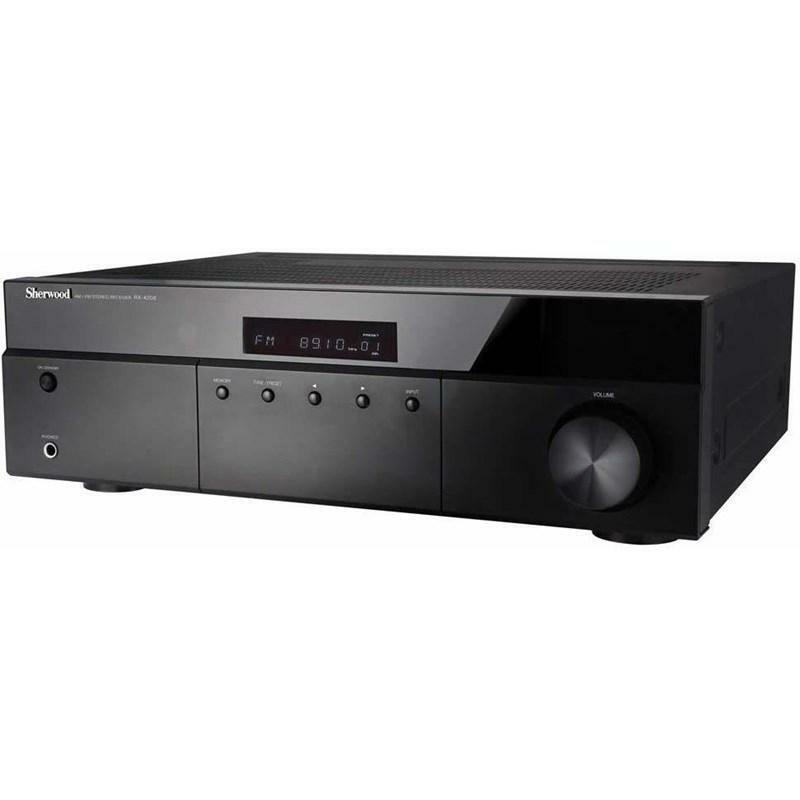 Enjoy superior stereo sound with the 100W high-power output of the Sherwood RX-4208 AM/FM Stereo Receiver. 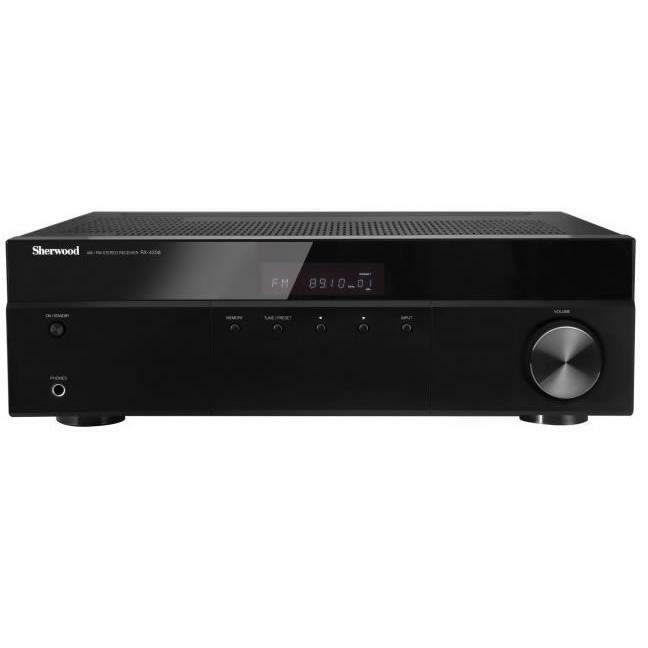 A sleek design equipped with advanced features makes this receiver a valuable component of any professional-grade home audio system while still possessing a simple operation. 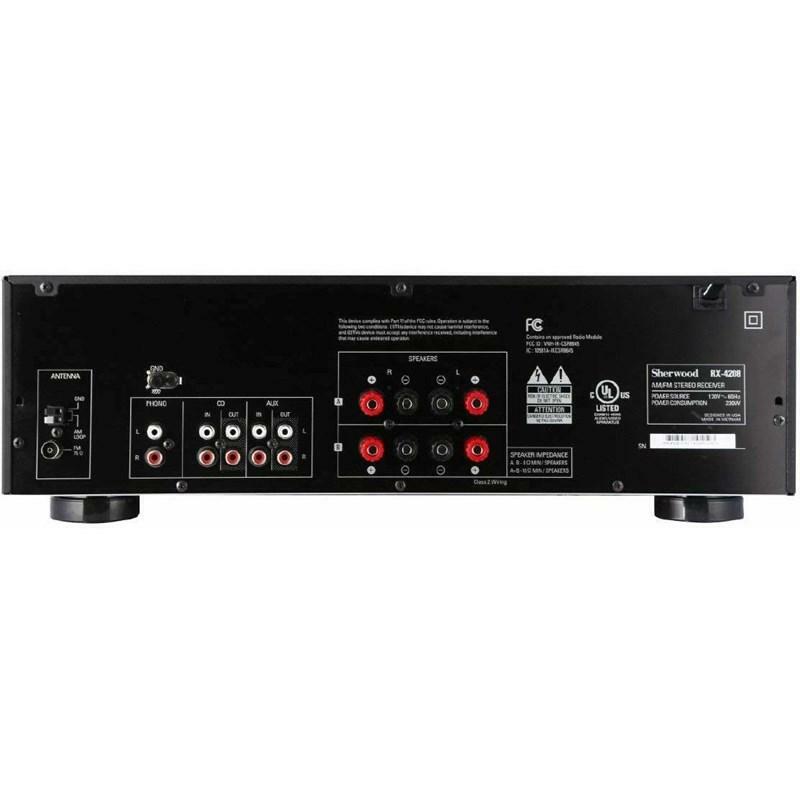 Today's multi component home theater system must excel at working with components including Blu-Ray Players, DVD and CD players, laptops and mobile devices, game consoles, cassette decks, VCRs, and satellite or cable inputs not to mention radio programming. Sherwood A/V Receivers are star performers, easily switching between inputs and encoding formats to produce brilliant, accurate sound.